Grab hold of this book that lets you steer a police car that's on patrol! The city is pretty quiet so far. But wait, a call is coming in! We need to chase after someone! Turn on the siren and steer around all these other cars! Put on your seatbelt and hit the siren-it's time to drive a police car! 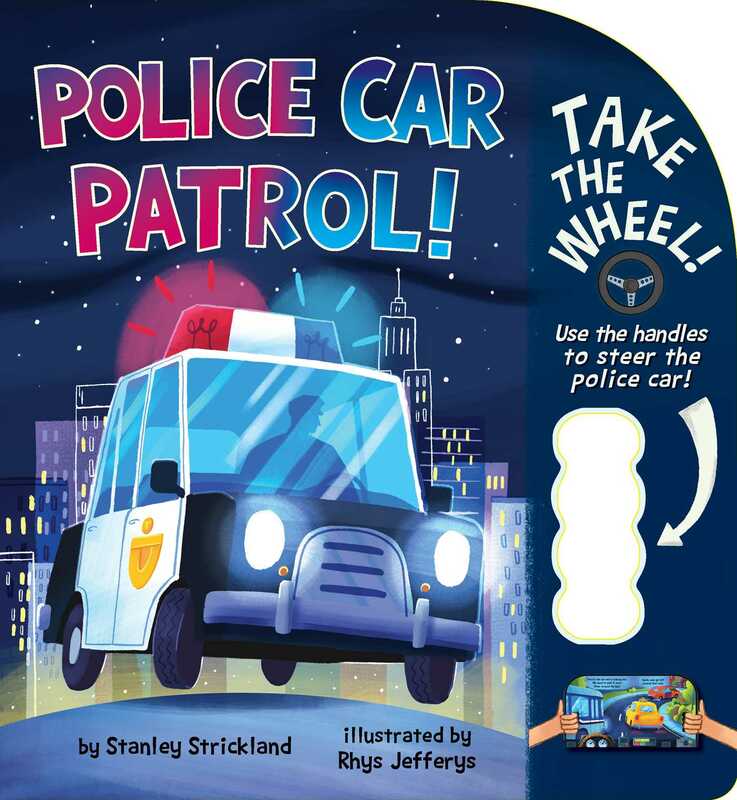 Kids will love using the die-cut handles in this novelty board book to control the police car and steer through the city around cars, through tunnels, and around traffic to catch the bad guy! Book Cover Image (jpg): Police Car Patrol!